Major storms can lead to serious hazards like falling trees, toppled power lines, and collapsed roofing. In many cases, signs of serious structural damage may not be so obvious. Even if you don’t immediately notice any indicators after a storm, it’s important to take a closer look at your roofing. These three key signs may signal a serious problem beneath the surface. What Are Some Key Signs of Roofing Damage? Wind, hail, and excessive rain can take a serious toll on your roof. 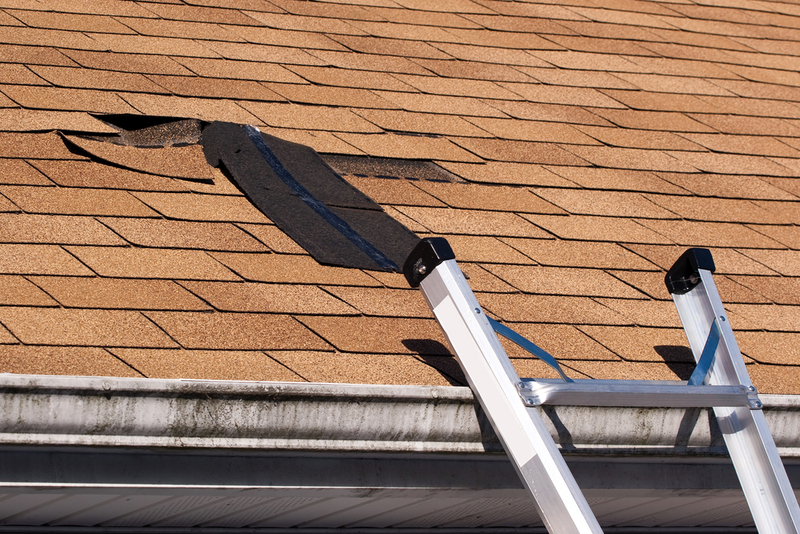 If you notice missing or damaged shingles, it’s important to address and repair the issue as soon as possible. Buckled, curling, or cracked shingles may not seem like a major problem at first, but these flaws can allow water to seep in, making the surrounding area especially vulnerable to leaks and long-term damage. Heavy rains can cause granules to wash off the shingles. You may find them piled up in your gutters and downspouts. Since severely worn shingles can allow water to easily permeate the roof below, it’s important to replace them before the issue exacerbates. You also need to clean your gutters to ensure a smooth path for rainwater to escape. After a storm, you may find a layer of soaked leaves, twigs, and other debris on your roof. In general, it’s ideal to remove it right away, as it can trap water underneath and lead to damage and mold. If you can’t safely reach and remove the material on your own, call a professional roofer to complete the task. After a storm, consult the professionals who can help. The experienced roofing contractors at Coastline Roofing and Construction in South Bend, WA, offer the inspections, repairs, and replacements locals need to protect their properties. To learn more about how the local contractors will support you, visit the website. If you would like to schedule an appointment, call them today at (360) 942-9713. Other Announcements, Events and Deals from Coastline Roofing and Construction Inc.
A. Coastline Roofing and Construction Inc.